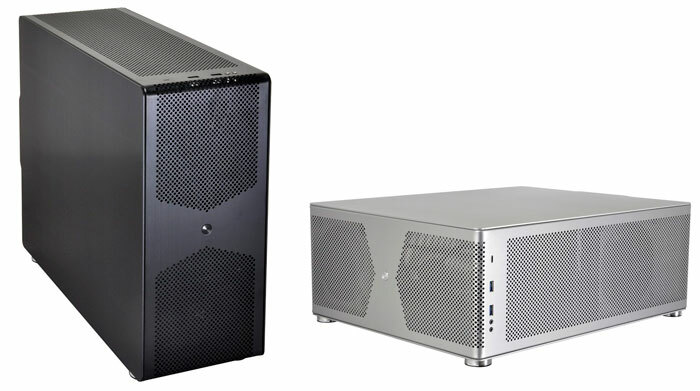 Aluminium PC chassis specialist Lian Li has launched a trio of new products today. 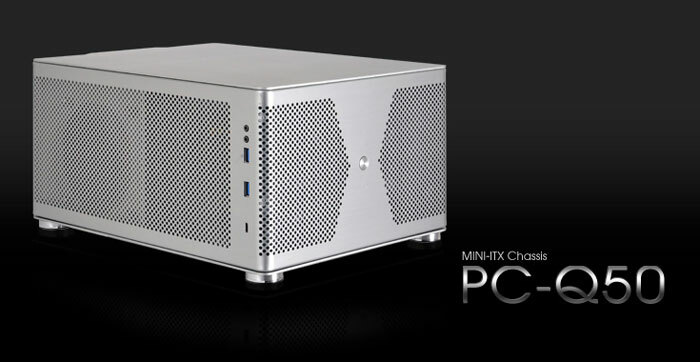 With its form factor blunderbuss the designer and manufacturer has fired off a Mini-ITX, MicroATX and ATX chassis. Why launch them all together? Well, they follow a theme, and offer similar styling. The new PC-Q50, PC-V320, and PC-V720 eschew tempered glass and RGB LED illumination considerations to go 'back to basics' with high airflow all-aluminium designs. 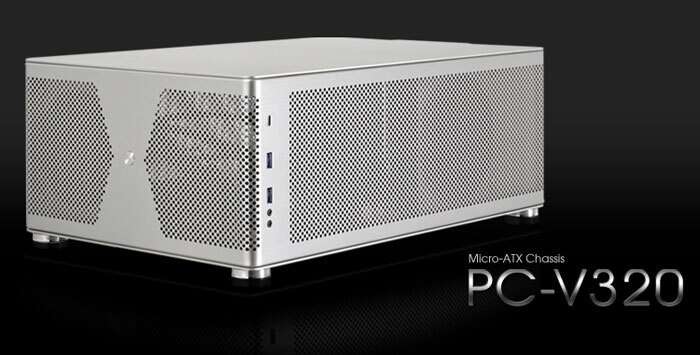 Nevertheless, these are modern chassis, and they all feature easy access USB 3.1 Type-C ports among other niceties. Other features in common over the range include the ability to convert from tower to desktop format chassis. Screw-in aluminium feet, with rubber pads, facilitate this orientation flexibility, allowing the PCs to adapt for your home or office. Venting holes proliferate for excellent airflow, helping you to build quieter systems packing fewer fans. The Lian Li PC-Q50 will be available in the US in the middle of September, for $149, and in the UK from the end of October, for £157.99. The Lian Li PC-V320 will be available in the US in the middle of September, for $189, and in the UK at the end of October, for £184.99. The Lian Li PC-V720 will be available in the US in the middle of September, for $219, and in the UK at the end of October, for £222.99. Yay for USB type C, neigh for everything else. Why? Seem like decent air cooled cases to me. They're not PC cases. They're hutches for dust bunnies. ^^ because what he said. Guess we should have seen this coming, Nvidia doing the bare minimum to extract the absolute maximum from peoples wallets.